Who Said…? "How much the greatest event it is that ever happened in the world! and how much the best!" Who Said...? "How much the greatest event it is that ever happened in the world! and how much the best!" 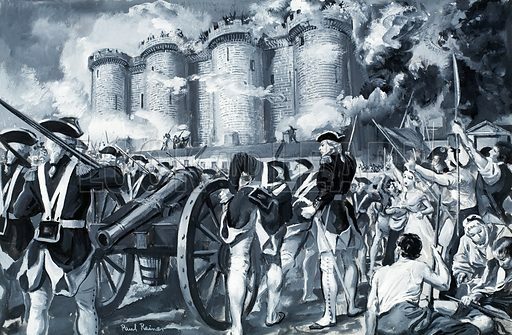 Charles James Fox about the Fall of the Bastille in 1789. Original artwork for illustration on p13 of Look and Learn issue no 283. Lent for scanning by the Illustration Art Gallery. Available worldwide for immediate download up to 4,945 x 3,236 pixels.